Want a Unique House Color? 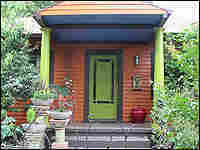 An Expert Is Waiting Painting your house can be a huge investment. That's why picking the right color is key. And getting help is easier than ever now that boutique paint lines and hand-crafted colors are in vogue. 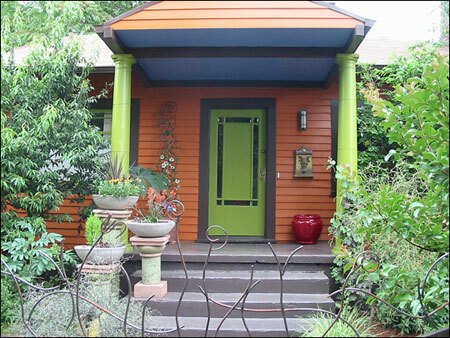 On a tour of a neighborhood in Portland, Ore., a color consultant offers a critique. Gretchen Schauffler, creator of Divine Color Paints, professes to help people not be afraid of color. Try this at home! Ketzel's house was once putty-colored with dark blue trim. With the help of Portland, Ore. color consultant Nani Waddoups of R. Wagner Company, the house has been transformed into a vivid backdrop for Ketzel's plant-saturated garden. Virginia Young (left) and Janie Lowe are the creators of the environmentally friendly paint line YOLO Colorhouse. What does the color of your house say about you? The cost of painting an entire house is getting tougher on the purse, so people want to get the colors just right. That’s why, in an industry dominated by mega-sized national brands, paint boutiques with their own hand-crafted colors are popping up, with color experts on hand to advise the weary homeowner. Janie Lowe and Virginia Young are self-professed color nerds. They launched YOLO Colorhouse and their "natural" color palette just last year in Portland, Ore.
Lowe and Young suggest taking your roof as a cue and working from there. Paint large swathes of your sample color -- more than a few broad strokes -- so you can really see what you're getting into. Gretchen Schauffler, creator of Portland-based Divine Color, sees paint in terms of context. "There’s no bad color, just bad color relationships," she said. Despite any differences in approach, most color consultants agree that color is about expressing emotion, something most people prefer to conceal.